I’m back, and this time I’m here to share my latest pondering about authenticity with you. I like to consider myself a professional people watcher, and from this, my curiosity awakens around the vogue interpretation of being “authentic” or having “authenticity infused into your branding”. I’d love for us to just hang on a minute, and let’s really think about that for a moment. What does all of that actually mean? 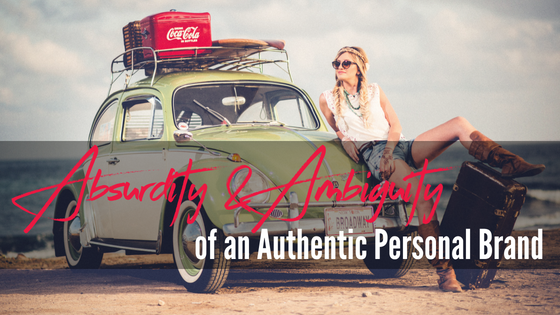 Where does this quest for authenticity originate and what should we think about when we try to relate that back to our personal branding, and indeed our lives. To set our tone for this blog I refer you to mod legends, The Who. For me, this band explores the sense of self in a vast array of theoretical to ugly forms. It’s the common seed to many of their songs and concept albums. For now, let’s look at Quadrophenia’s principle character – Jimmy. A London mod so ingratiated with the movement, he throws away friendship, career ambition and ultimately his own sense of self. Right over a big white cliff to be exact! Jimmy’s is a quest for originality in rebellion against the expected social norm of the time. In this instance the whole Mod shenanigan becomes violently tribal. Boiled down to its basic parts, poor Jimmy trades in one set of mass behaviour for another and ends up having an existential crisis about the real him. Jimmy was never really 100% authentic you might say. If you are already au fait with this as a construct (or you just boned up), you know that authenticity is really about a philosophical battle we have with our imposed essence. 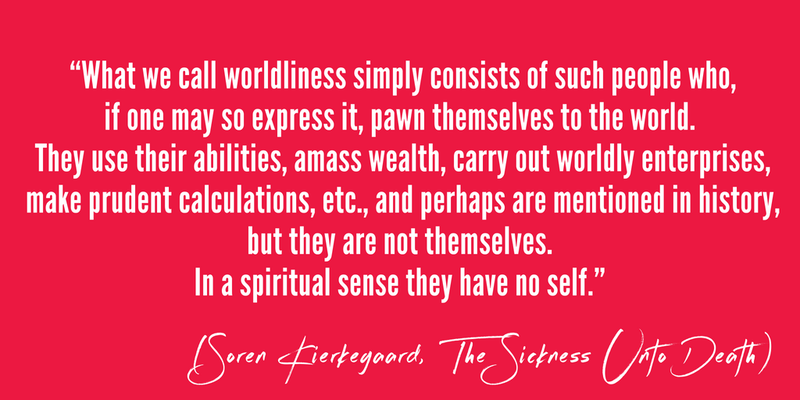 Existentially speaking, essence is thrust upon us in childhood: the social rules we are born into (and often the expectations that go with them) and then, following some adoption of existentialist thought, we adapt and decide who we really want to be. Thats how the theory goes. I’m sure we can all think of plenty of examples where this flow becomes blocked or misdirected. When applying this cycle or evolution to our branding we can refer to actions speaking louder than words. Declaring to the world that you are trustworthy as a result of you manufacturing your own branding essence, is a lovely idea. You can print the words trust on your cards, even get a big neon sign of “honest” for your office wall (in your fave colour). But my darling, if you the behave in a devious and untrustworthy way: break promises to your clients, show up late all the time, cancel at the last minute etc. These behaviours will ultimately mean that your authentic self is the latter and not the former. Neon signs switched on or off. I really feel as though there are a lot of business out there who feel under pressure to manufacture the whole of their branded authenticity. This is where it all goes wrong! You see, money, fame and making a mark (no matter how honourable that mark may be) must come at the price of being your true self. The essence of these desirable and shiny things will be a constant rain on your parade of individuality. You cannot have it all. It doesn’t work like that. If you want to be considered a “professional speaker” within the marketing industry you wont get very far rocking up on the stage with a bag of monster much and no pants on. Spraying the audience with your pickled onion crumbs may feel 100% true and fulfilling to you. But the tribe won’t thank you. Hell, they may even call the police! Lets check in and see how this little idea of mine fits into economics then. Taking the idea of sacrificing self in exchange for the comfort of authority, a mortgage, some nice threads. Can we see any philosophical relationship to money? I like to think that we can see a correlation. Its an inversely proportionate one too! Could it be that when the international economy sees boom times in commerce and mass affluence, we also see a reduction in the understanding and mass quest for true self? Is there an inverse proportion between collective wealth and lack of individual identity? Subscribing to safely pre-thought-out tribes and identities certainly makes things easier all round. Is that why the economy booms? As a reaction to greased up marketing demographics? What came first? The Jock’s or the BMW’s? Taking this a step even further, you might say that the international mass movement to collect and convene through our various beautiful digital platforms could predict an even greater result of the lack of self. Is this why we currently see a lot of people talking, tweeting, blogging and vlogging about authenticity? Do we all feel this coming? Think about the percentage of those creating content around questions based on authenticity. Is every single one of those content creators inspired with some of their own internal self-identity pangs? Or, can we (depressingly) assume that there is a larger percentage asking these questions (and probably generalising their answers to boot) as a result of some keyword research, SEO exploration and keeping up with the content-competition Joneses? The very exploration of authenticity and individualisation can’t become a collective movement! This in itself is utterly impossible! Imagine this idea as a bunch of beautiful naked hippies only clad in their brightly coloured cute wellington boots. As they hold hands and stomp into the unexplored woods (uniquely shaped rude bits jiggling, bouncing and flapping of course) the unexplored woods themselves become heavily explored all at once. Thus, going on the hike as a way to find some authenticity whilst pondering in a meditative, autonomous way becomes about the group, the whole, the tribe, the collective, when you do it together. If a naked hippie shits in the woods with another naked hippie, does that make it a Butlins holiday instead of a quest for true authenticity? Surely, we can’t all be shiny individuals together at the same time? If we did that, we’d just become a collective tribe of people who think of themselves as especially individual. Negating the authenticity of individuality itself! Just look at the Glastonbury flower head band! Buying the fully matching Jamie Oliver Cooking Set! I’m happy to go on? I’m not ashamed to say that this debate and these endless questions often keep me up at night as a branding headshots photographer. Why can’t I just sack off all this mumbo jumbo? Swallow the Matrix Blue pill, buy a couple of Coldplay’s “Best of” albums and start truly believing that Jamie Oliver is the second coming of Christ (this time through healthy school meals)? Wouldn’t that just be easier? Would fulfilling the demand of the tribe make me feel like I’m wrapped in a safe Debenhams 24 tog cocoon (ooo! extra Nectar points), and ultimately result in a happier, safe, cosy life on the whole? Yes. Probably. But there’s that niggle! My Hot New Girl Crush! 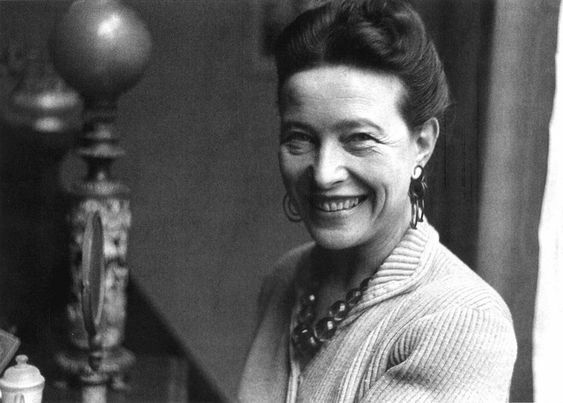 I’ve actually muttered the words “Babes, where have you been all my life?” whilst reading some of the writings of this beautiful wench Simone de Beauvoir. Challenging the theories of her husband – Existentialist O.G Jean-Paul Sartre, she created some philosophical rules around the ethics of ambiguity. In a big generalised sum up, her theory is that we are all free to be authentic and individual in our own special unique way. We are absolutely free the moment we decide it. Freedom becomes freedom only if we choose to become fully aware of our own finiteness. Mass fear and the socially acceptable (no nectar points) avoidance of dwelling too much about death and “the end” is a populous tribal decision. We have carefully crafted some scary spooky distractions around all things death just so that we can change the subject and focus on fear instead of the hard factual knowledge that death is indeed the end of this lifetime and our existence upon this conscious plain as we know it. Cos, that’s quite a big idea! One could argue that gathering in a big spire topped building every week could be a social construct to gather together as a tribe (with a shared creed) just so that we can feel the warmth of that nice thick duvet all at the same time. Beauvoir’s series of finite ends inside the understanding of the brackets of birth followed by death is 8-fold. She very clearly shows how living to a series of “ends” will result in you being truly authentic in 8 complex theorems. I find this immensely re-assuring to be perfectly honest. Suddenly thinking of the brackets of life as we know it as the “ultimate end”, and then interspersing them with a carefully layered set of “mini authentic ends”. See it not as a quest to attract attention and then to turn that into your new conservatory. See it instead as your life’s work. 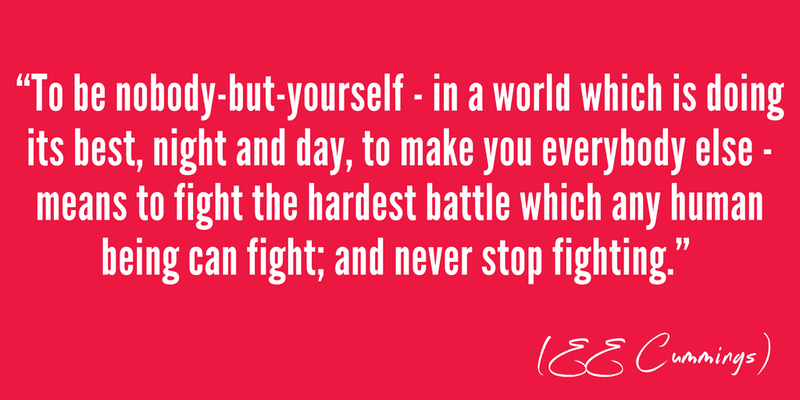 With the core of your personal purpose for being itself. Do you really care that much about watercolour graphics? Does this graphically define who you have decided to be as an entrepreneurial person within this limited lifetime? Or were you just going for the business equivalent of a Glasto flower headband look cos everyone else is on that band waggon? And you know, it looks safe and familiar. By commissioning this (or giving Canva a pound) you have decided that you will feel like one of those real business people, its going to be successful, hello conservatory! hello big following! Are you A Daltrey Doll with blue eyes and cherubic blonde curls and spray on jeans? Are you A Seriously Passionate finger-nail-flying windmill-wielding Townsend? Are you fully open with your Loon-acy? So much so you need to keep your headphones on with duct tape. Or, Are you An Entwhistlin’ Thunder-fingered spider-aficionado OG? Then, put some pants on and do some business. Get all of my content curated and personally delivered to you each month. Kisses of Inspo, just for you!